DUE DATE FOR APPLICATION: Monday April 29th at 11:59 pm. Aeris Körper is proud to produce PROSPECTS, an evening of dance and discussion at the Burlington Student Theatre. 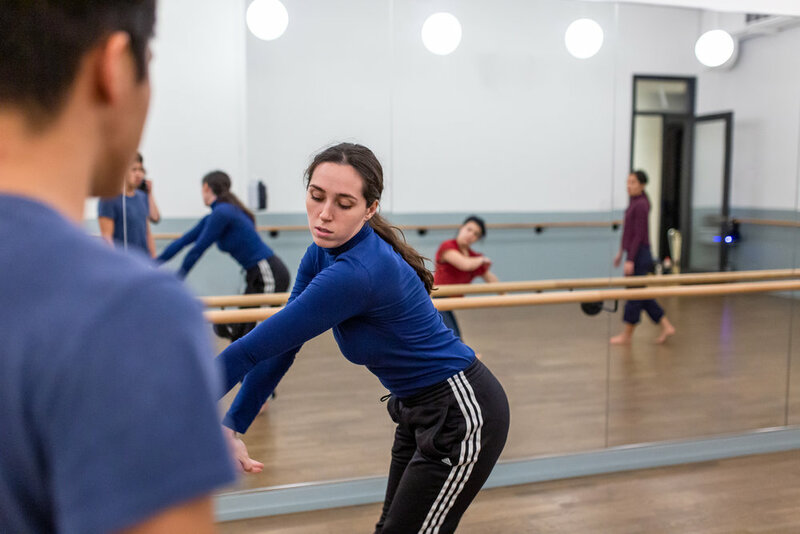 PROSPECTS opens a space for choreographers to present short works, excerpts, or works in progress around a specific theme, and invites the audience to give their feedback. Proposed works can be up to 15 minutes in length. Choreographers will be expected to talk about their work and to participate in a talk back with the audience. DATE AND VENUE: The fifth PROSPECTS night will take place the evening of SATURDAY June 1st, 2019 at Burlington Student Theatre, 2131 Prospect St, Burlington, ON L7R 1Z2. The evening will commence at 7:00pm with doors opening at 6:30pm. REMUNERATION: Successful applicants will receive 15% of the box office revenue and a $150.00 honorarium. SOCIAL JUSTICE: This is a look at equality, privilege, society and human rights. What are the ways in which human rights are manifested in the everyday lives at every level of society? Aeris Körper will give priority to artists of colour, artists living with disabilities, new generation artists (18-30), and new Canadian (immigrant) artists. We are interested in works that draw from a wide range of dance and movement styles, physical, innovative, play with the audience and performer relationship, interested in using the performance space in unusual ways. Applicants will be notified of results no later than Monday, May 6th at 5pm. Upon successful acceptance Choreographers will be asked to submit: 1 headshot, 3 photographs or images representing the selected work by Friday, April 5th, 2019. NOTE: We are so grateful to all the applicants and are continually amazed at the ideas, concepts and execution. Please know that while we would love to accept all who apply, due to budget and time constraints we are only able to accept five applications per edition of PROSPECTS. We ask that all artists involved stay for the entire evening and participate fully in the event: warming-up, viewing, talking and discussing their and others works. For more information, please contact Aeris Körper at info@aeriskorper.com or visit www.aeriskorper.com.